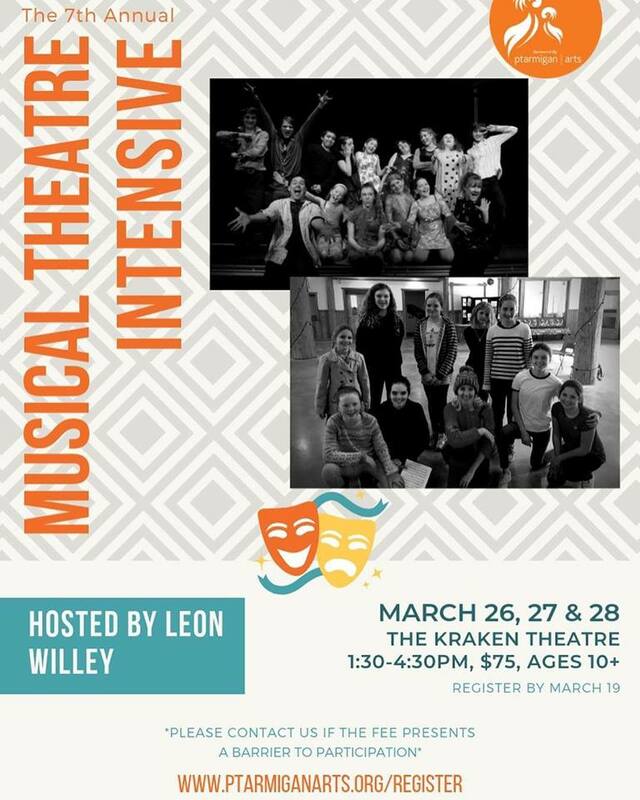 We’re excited to have actor extraordinaire Leon Willey back with us this spring break to lead the 7th annual Musical Theatre Intensive for ages 10+. Participants will learn a scene from a well-known musical and be able to improve on their singing, acting, and dancing skills. The Intensive will be happening over three days at the Kraken Theatre at Hope Bay. Register by March 19, and please let us know if you’d like to be a part of it but the fee is too much. Register by March 19 here: www.ptarmiganarts.org/register.